The ’70s seem like an eternity ago now! There are the movie and television stars from that era who have stood the test of time and seem ageless. On the other end of the spectrum, you have those that make you want to ask “what in the world happened to you?” Here are some top actors and actresses from the ’70s, then and now. 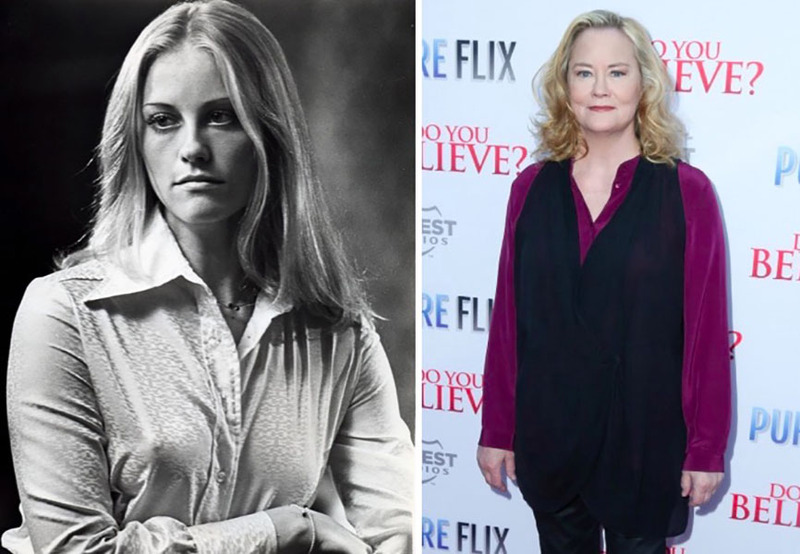 Cybill Shepherd was born in 1950 and was already poised to be a star at a young age, when she won Miss Teenage Memphis at 16, and was named Model of the Year in 1966. She debuted with the critically acclaimed film, The Last Picture Show, but you might remember her from Moonlighting or any of the myriad of other roles she took on in The Heartbreak Kid (1973), Taxi Driver (1976), The Yellow Rose, or Long Hot Summer. Shepherd famously published her memoir, Cybill Disobedience, in 2000, where she famously wrote: “TWO THINGS HAVE ALWAYS SAVED MY LIFE: READING and singing. Books and music have comforted me, informed me, helped me define myself. It’s impossible to overstate their importance to my mental health, spiritual sustenance, and survival on the planet.